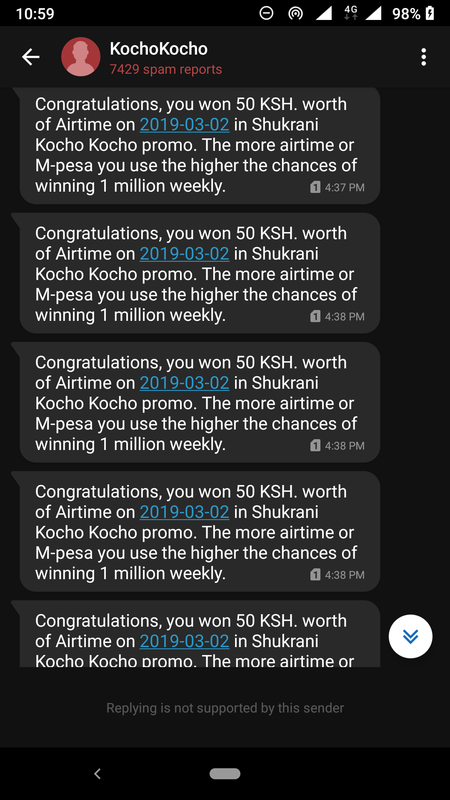 I am just asking if anyone else has won 1.5 Ksh.That’s one shilling and 50 cents so Safaricom can claim to have 4 million winners. This is simply shameful. Well well from the above message seems like among the 2M problem is I can’t tell if it was 50 bob or 250 as the messages came at once, and you can’t check the balance to confirm the price airtime is really there, saf had an opt out option in their last promotion, they should have it always, not everyone is interested, I get more from storo bonus than kochokocho. You won 1 shilling? Wow! As for me, I haven’t won anything yet so aside from getting 101 messages from Kochokocho, I have nothing to show for myself.